A beautifully elegant wedding invitation featuring the word love with rainbow watercolour elements. 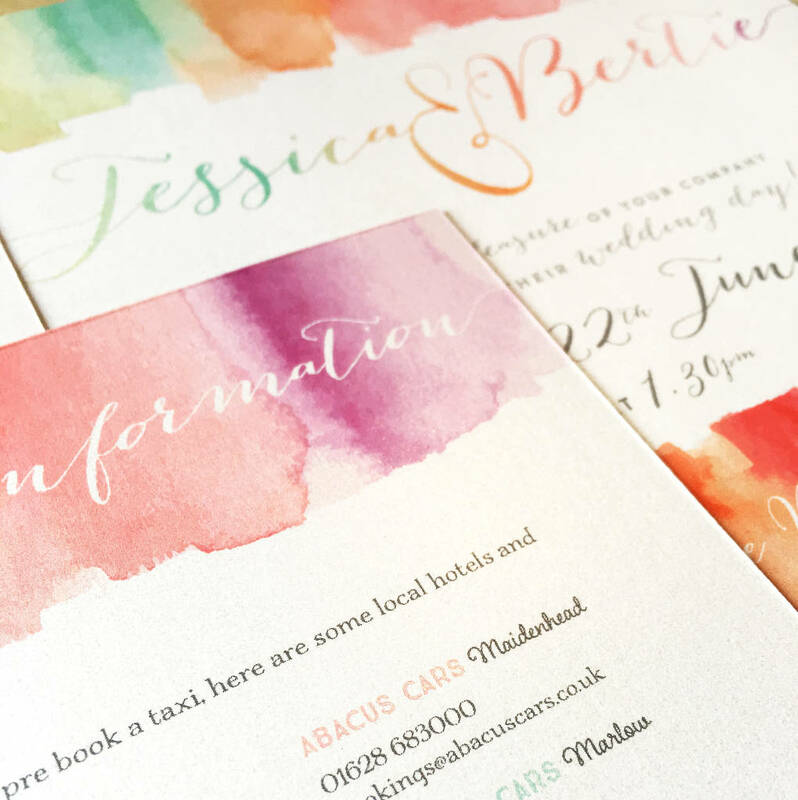 Sample Packs – There are two non personalised sample pack options you can choose from. 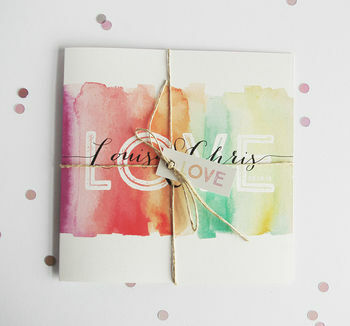 Sample Pack A : two simple cards, tied with twine and matching envelope. Sample Pack B : luxurious wallet sample, including the entire set. 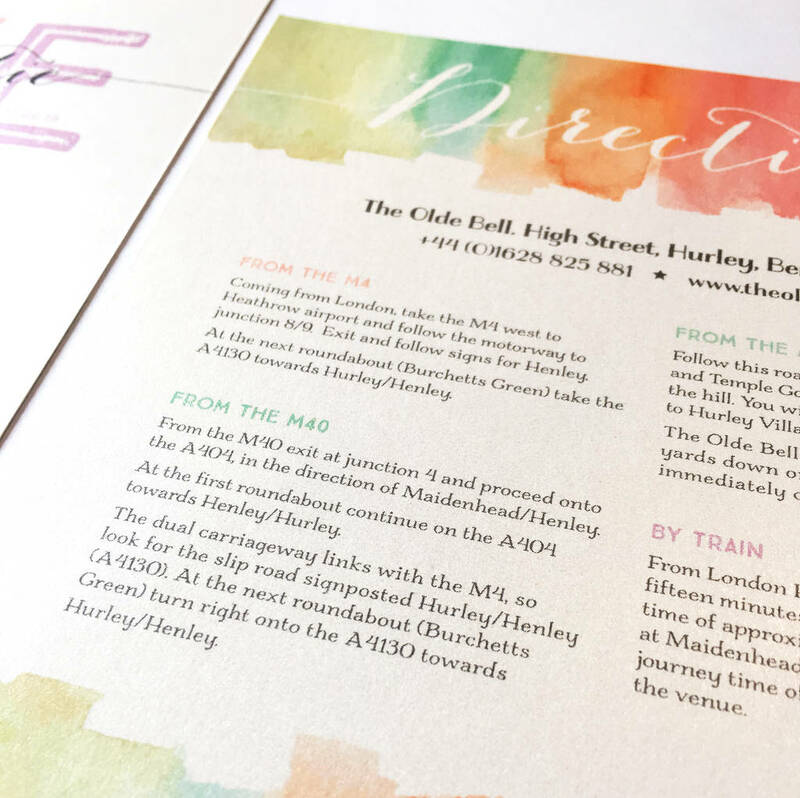 Information Card - printed double sided as per the main invite. 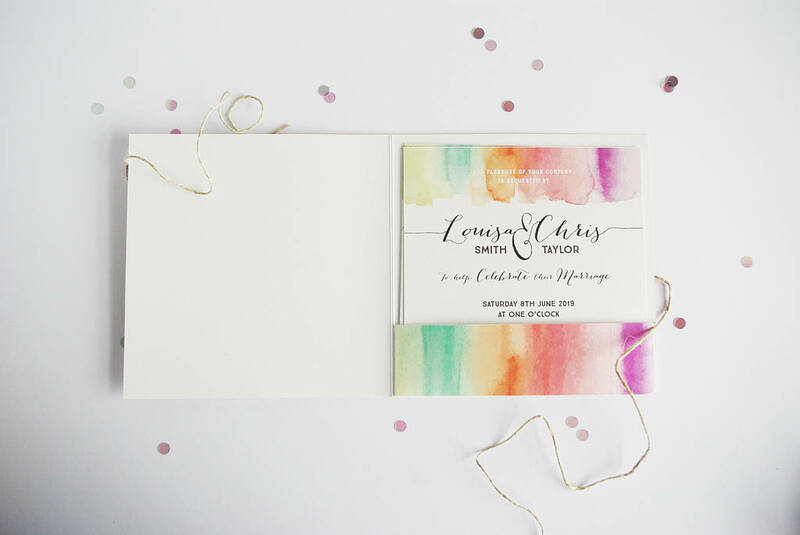 Details could include; directions, gift list, accommodation or any information that would be helpful to your guests. 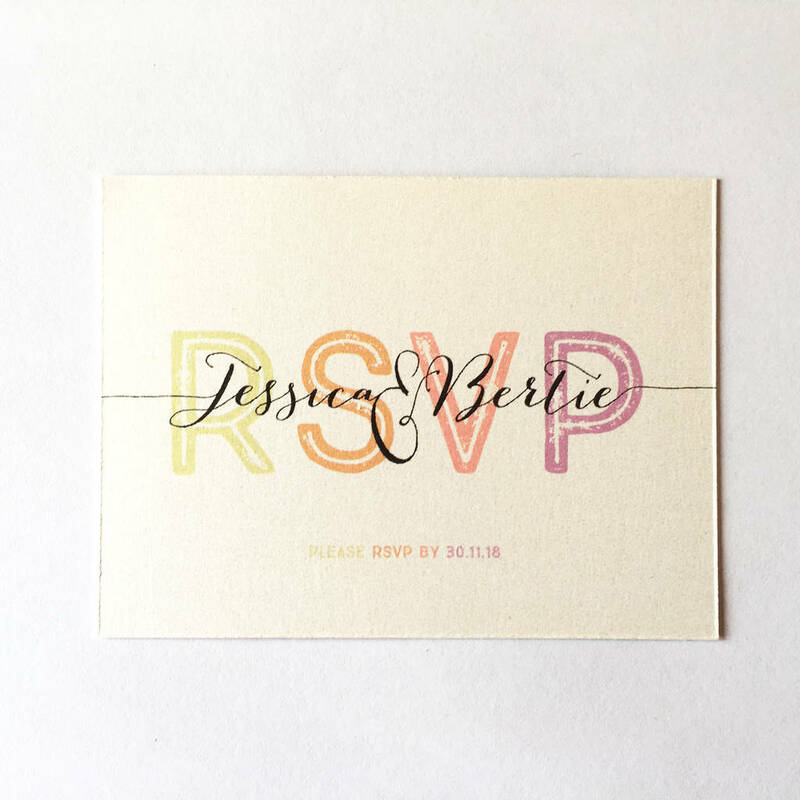 RSVP card - A7 double sided card, with envelope. 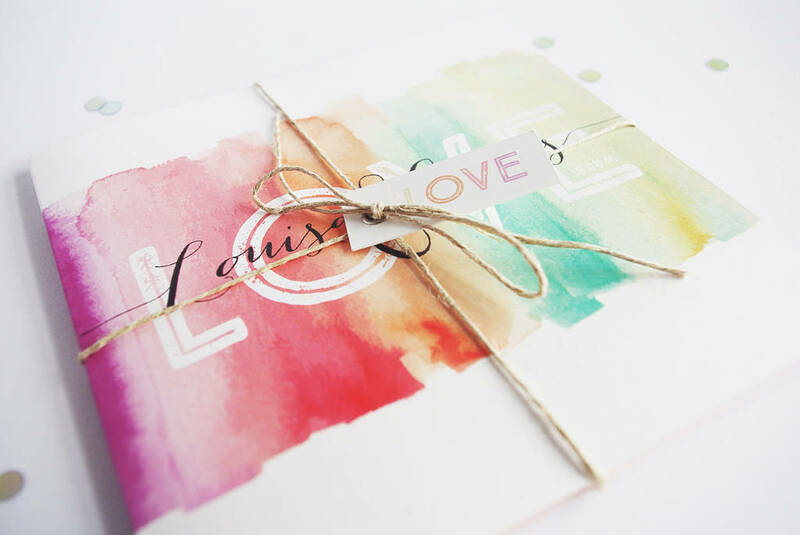 Luxury Wallet - Bespoke wallet printed onto the same luxurious paper, hand finished and tied with 'Love' tag. Supplied with alternative larger envelopes. Evening invitations will show an alternative attendance time. 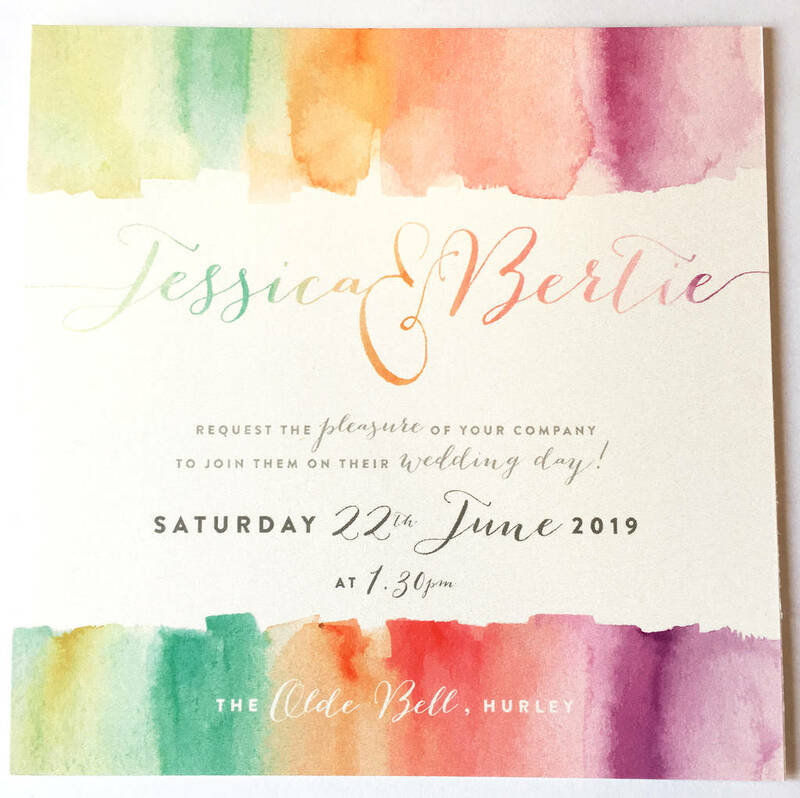 If you require RSVP cards/information cards or wallets for the evening invites - please allow for this when selecting your quantities. These will be the same for both day and evening. 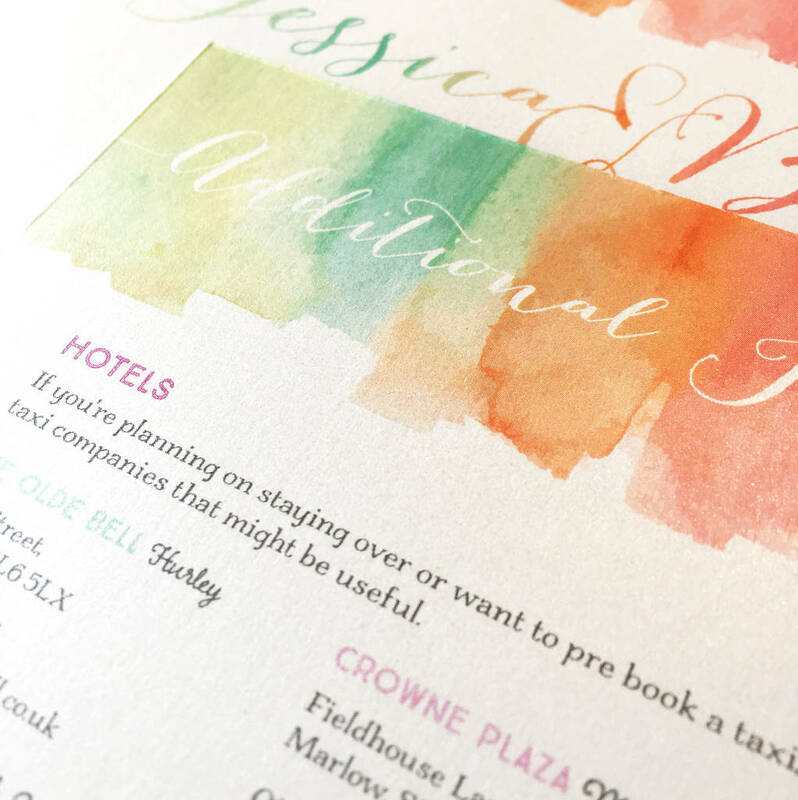 Personalisation : You can choose to have your guest names printed on the day and evening invitations. Any additional information will need to be supplied via the 'Order Enquiry' feature once an order has been placed. 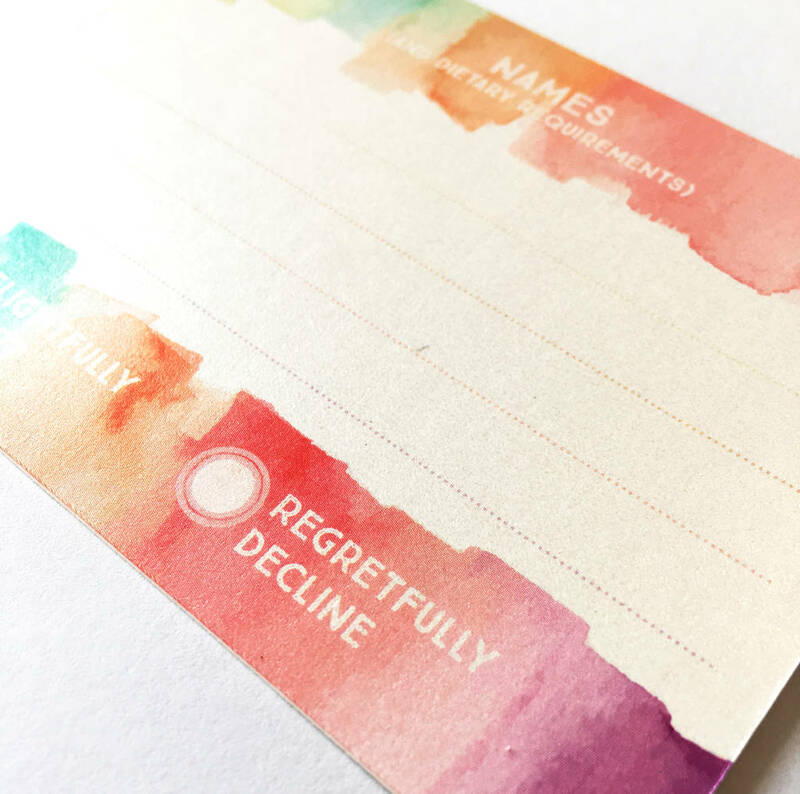 Matching on-the-day stationery is available for this range. 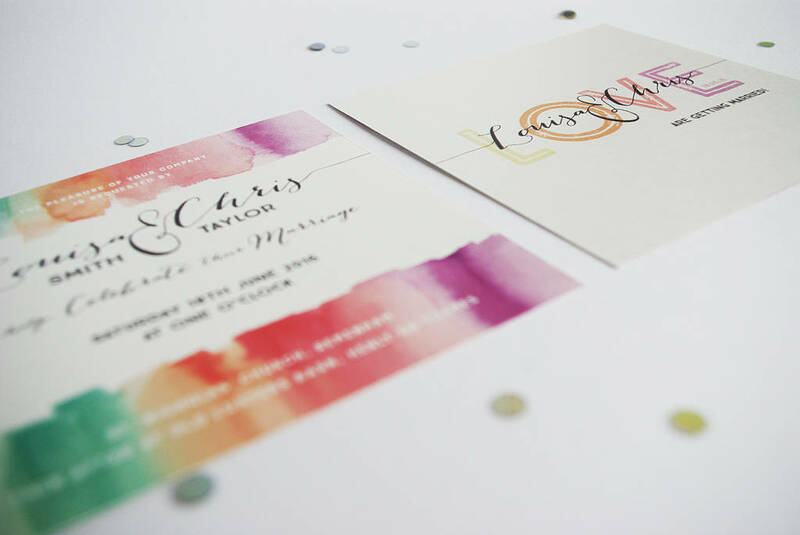 Each part of the invite is printed on to a 300gsm shimmering Pearlescent Card. This product is dispatched to you by Mulberry Moose. A PDF proof will be supplied for sign off before any printing takes place. Amends can be made to this and a revised PDF proof will be supplied. Please remember to check the proof carefully, as once this has gone to print, no changes can be made. We endeavour to get a PDF to you within a week of placing the order. 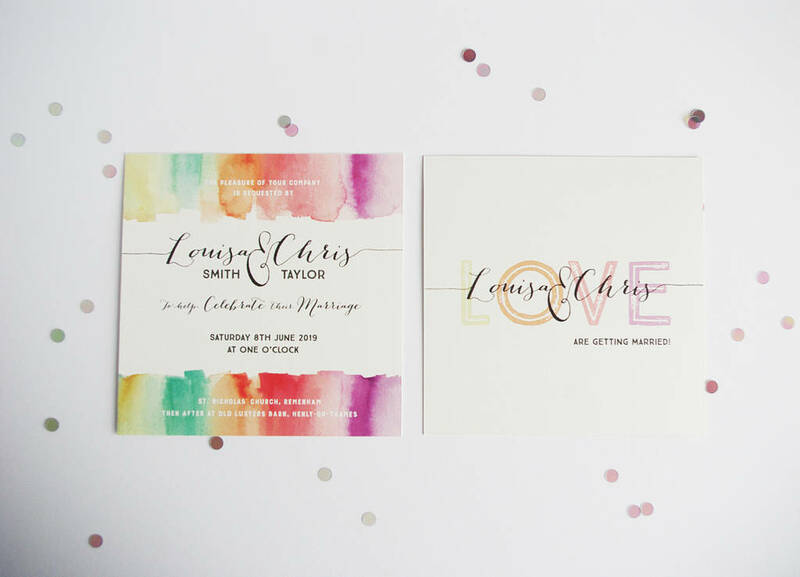 Invitations will be dispatched approximately two weeks from sign off, depending on quantity and finishes selected. Please inform us if you require a faster turnaround time. It’s not always possible, but we will do our best to accommodate you where we can.